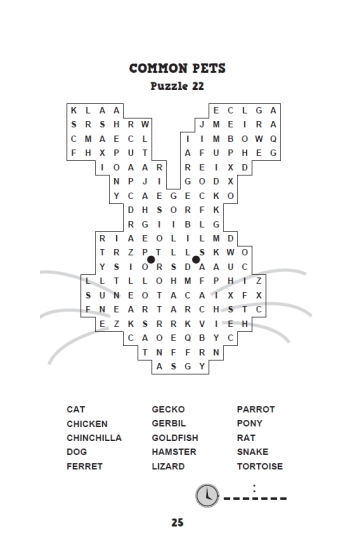 Welcome to this collection of 100 fabulously fun children's wordsearch puzzles! 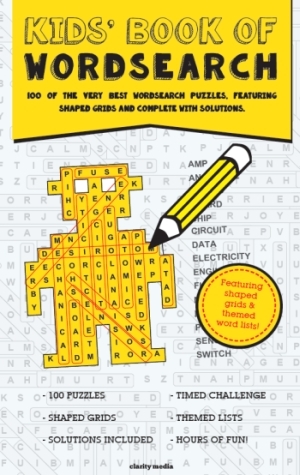 We have gathered the very best puzzles for you to solve, with many featuring shaped grids, so you have to work your way around the bends and corners of the grids in order to find the hidden words and solve all these hugely enjoyable kid's wordsearch puzzles. Are you able to find them all? If you need a little inspiration or helping hand along the way, full answers are shown towards the back of the book so take a peek there. Each page features a little space to record your solving time. Perhaps you can challenge friends & family to beat your time. Who will be crowned the wordsearch puzzle master?